Having a plan to convert wealth to generate income is necessary when you are approaching retirement. Your new, steady paycheck, will come from your accumulated investments. Smart planning is critical to develop strategies for transitioning your wealth into income in retirement. At AIM Financial Consulting Group, we work individually with clients to develop a plan for converting wealth to sources of income. Once you have retired, most individuals need to reevaluate the overall asset allocation and investment strategy to make sure your portfolio is structured to generate the income that you’ll need. 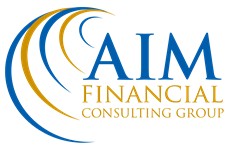 At AIM Financial Consulting Group, we specialize in designing portfolios to generate income in retirement.